As North America’s only vertically-integrated travel, hospitality, and leisure management group, Apple Leisure Group is an industry innovator that combines the expertise of 14 leading brands, which grants us the ability to oversee every aspect of the travel experience, from the moment a guest books a trip to the time they return home. Our powerful and growing vacations brands are why Apple Leisure Group is the nation’s largest provider of charter flights, and the largest vertically integrated seller of vacation packages in the United States for travel to Mexico, Dominican Republic, Jamaica and the Caribbean, moving approximately 3.2 million passengers annually through our well-established vacation brands. AMResorts® is North America’s fastest growing luxury resort company. Founded in 2001, AMResorts has reached nearly two decades of unparalleled success providing award-winning hotel brand management and marketing services by Raising all-inclusive to a New Level of Luxury® through its luxurious concepts: Endless Privileges®, Unlimited-Luxury® and Unlimited-Fun®.  The Unlimited Vacation Club® by AMResorts is an exclusive loyalty program whose members enjoy guaranteed preferred rates and benefits at properties in Mexico and the Caribbean. Through a variety of participation levels—Pearl, Silver, Gold, Platinum and Diamond—discerning travelers can earn free nights stays at luxurious resorts and access to exclusive partner offers. Apple Leisure Group’s best-in-class destination management services are provided by Amstar® DMC and Worldstar® DMC. Amstar DMC is an accomplished destination management company, ranked number one in Mexico and the Caribbean. With 28 years of experience, the company offers exceptional in-destination services and Amstar’s workforce consists of over 1,200 multi-lingual individuals in 5 countries and 28 destinations. Trisept Solutions®, part of Apple Leisure Group’s portfolio, is widely recognized for providing industry-leading leisure travel technology. Formed in 2000, Trisept Solutions leverages more than 15 years of thought leadership, development and operational excellence, with the first team to master the concept of dynamic travel packaging in the electronic world. ALG consistently delivers exceptional value to travelers, and strong performance to resort owners and partners by strategically leveraging the power of its portfolio of brands. This form is to contact Apple Leisure Group’s corporate offices. We invite you to visit the Contact Us section in our brands’ websites to reach them directly.